Lloyds TSB Bank Plc is a retail bank and is traditionally considered one of the Big Four clearing banks within the UK. 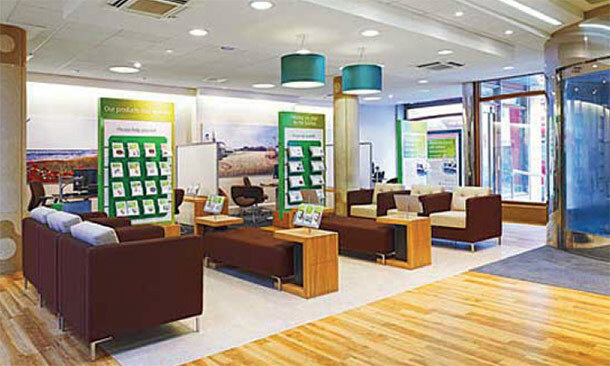 Lloyds TSB has an extensive network of branches and ATMs across England and Wales and offers 24-hour telephone and online banking services. Today it has 16 million personal customers and small business accounts. In Scotland, the bank operates as Lloyds TSB Scotland Plc. As proud preferred supplies to Norland Managed Services, we were delighted to be part of an on-going scheme to update redundant Air Conditioning Systems within multiple Lloyd’s branches in the UK. The works had been scheduled to be undertaken whilst ensuring that daily branch operation was not to be compromised throughout the project. Dovebrace Ltd were delighted to provide initial survey works, design input, equipment selection before implementing a full installation & commissioning service by our in house engineers. The Daikin UK equipment was specified by the client and tailored in to our status as D1 Approved Installers for this manufacturer. This accreditation offers superb aftersales and technical backup that we can pass to our customers giving total peace of mind. Close liaisons with the Norland account supervisors and their colleagues ensured that the works were conducted in a manner that suited the clients brief. As the works dictated many aspects to be conducted after branch closing times, Dovebrace & Norland ensured it was business as usual for the branch each morning following a night shift from our team of engineers. Dovebrace Ltd are delighted to have completed such a high profile installation, on time, on budget and to the satisfaction of such an important client, in line with our commitment to Norland Managed Services as a preferred supplier.